Whether or not you’ve made it to the theaters to see Crazy Rich Asians yet (and you should), you already know what an impact it’s having on the entertainment industry and beyond. With $164.7 million earned worldwide and a majority-Asian cast, the modern-fairytale rom-com is surefire proof that diversity wins. And, with reason, the fashion industry is taking notes, too. 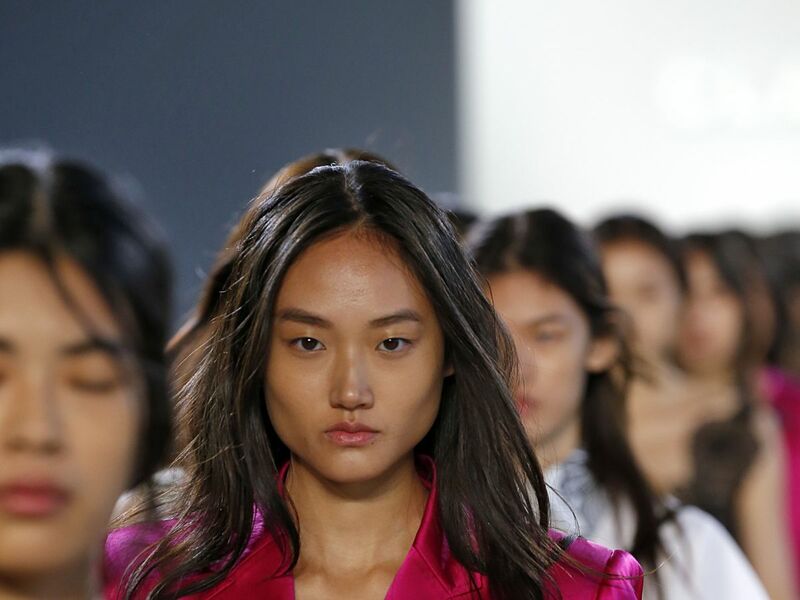 On Sunday, for Asian designer Claudia Li, who was born and raised in New Zealand, her first fashion week runway show (she’s only done presentations in the past) showcased a cast of 35 all-Asian models. Her show drew inspiration from other details from her childhood, like the Mount Cook lilies, one of New Zealand’s most well-known flowers, and its low-hanging clouds, which were translated into pale blues, grays, and cloudy-weather staples like sheer parkas and outdoor-inspired drawstrings and cords. She combined her idea of what women want to throw on in the morning with her own personal touches, from the 3D flowers on the clothing to the game-changing casting, for an overall runway debut that felt equal parts deliberate and personal. Though we’ve still got a long way to go concerning diversity in fashion, it’s uplifting to see one designer take a loud-and-proud stand. 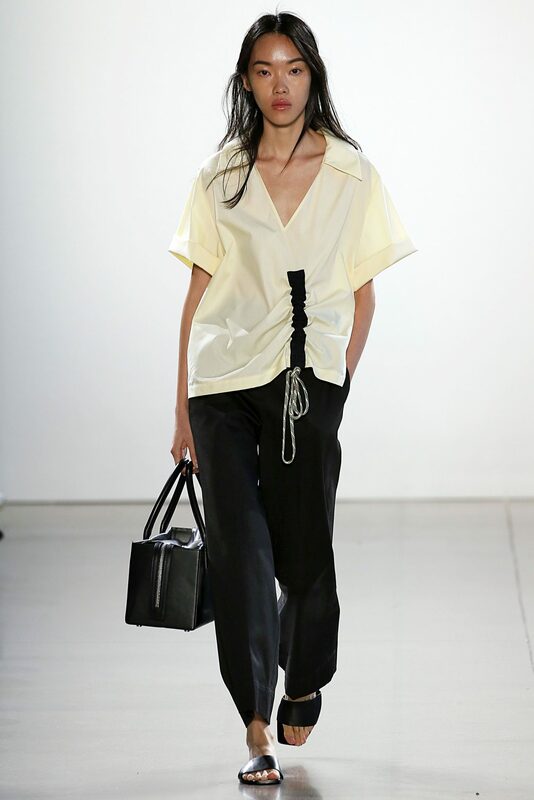 And while we wish we could rely more on designers in 2018 to showcase a true spectrum of sizes and ethnicities on the runway, it’s a step in the right direction to see one making a statement through her casting of a still typically underrepresented group on the runway of New York City. Plus, a few members of the cast of Crazy Rich Asians actually got to witness the show from the front row today — Awkwafina was spotted grinning front row, wearing her own Claudia Li look. You know what they say: game recognize game.